If that sounds extreme, it's only because the city’s oldest residential neighborhood matters that much to its residents, and to the city at large. The labyrinthine, lilliputian North End (square mileage: 0.36), first settled in the mid-1600s, today embodies Boston’s IG-worthy charms, from its cobblestoned streets to its European-inspired brick townhouses. North End’s history is the stuff of Greater Boston’s lore: the Anti-Stamp Riot, the Great Molasses Flood, Sacco and Vanzetti’s wake. The North End became an Italian-American enclave starting in the mid-1800s, reflecting the larger wave of Italian immigrants sailing to the US. Settlers from Genoa arrived first, and many made their living hawking fruits and vegetables as well as homeland imports such as wine, cheese, and olive oil. Nowadays the North End draws droves of both tourists visiting for the day and young professionals looking for their first Boston apartment. With its indelible food scene, endless festivals, and coterie of Italian elders sitting in streetside lawn chairs, the neighborhood feels transportative. Maybe too transportative: when Boston’s infamous above-ground Southeast Expressway came down in 2003, removing a literal shadow, the area was discovered anew. Tourism ticked up, and these days the area is the most expensive place in the city to rent, with a one-bedroom apartment going for $3,674 in January 2019, according to RentCafe. The stout Italian mother calling her son to dinner from the third-floor window? Today, more trope than truth. Yet 41% of the North End’s residents are still Italian-American, and its central charms endure. This is still the neighborhood where you can sip espresso at an 89-year-old cafe and stroll the streets at 3am with a freshly made biscotti in hand. Many restaurants counts their birthdays in decades, and the newer ones, almost all Italian restaurants themselves, have fit in seamlessly. (The North End’s retail scene has definitely seen its share of closures, though classics like Shake the Tree and In-jean-ius continue to thrive.) In other words, your biggest dilemma is choice. Hit up the famous Mike’s Pastry for a cannoli or instead seek one out from a tiny women-run bakery? Slip into any old joint for pasta or endure the long wait times for a chance at trying squid ink pasta at The Daily Catch? 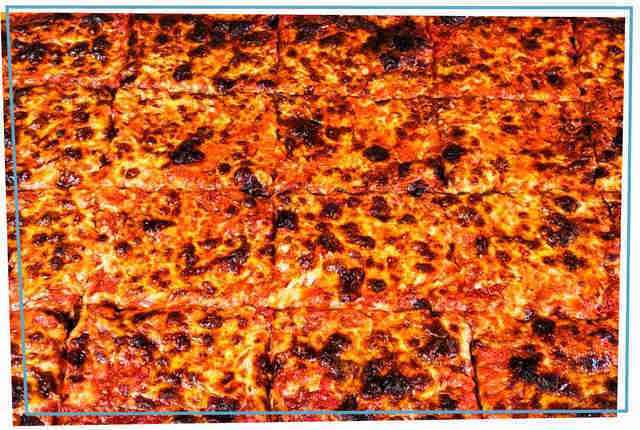 Sicilian pizza, or Neopolitan? We’re here to help. Be sure to bring cash. Behold the great cannoli wars! Every Bostonian has an opinion as to where to acquire the best version of this iconic Sicilian pastry. The tourists flock to Mike’s Pastry. Bova’s Bakery earns loyalty for its 24-hour service. Maria’s Pastry Shop wins points for its filled-to-order cannolis. 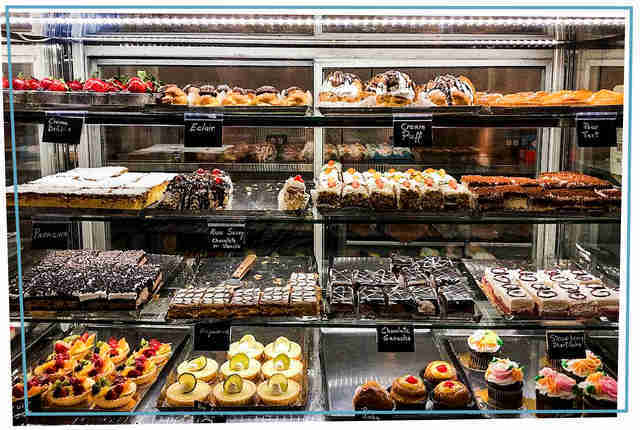 But we continue to throw our weight behind the 89-year-old Modern Pastry, for the extra-crispy cannoli shells, and the wide selection of other pastries and cookies, from chocolate ganache to almond biscotti. Plus, it’s a treasure trove of secrets. 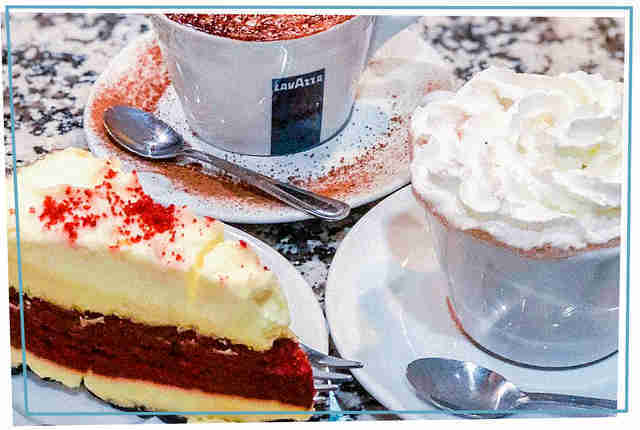 First, there’s a little-known annex next door that caters to locals and loyalists; the selection isn’t as extensive, but the wait times are marginal and the cannolis just as epic. And then there’s the speakeasy-style bar downstairs. Yep, in the back of the main bakery is a staircase that leads down into a Modern Underground, a stone-walled cave that serves beer, wine, burgers, and bar snacks. If you’re looking to play trivia like a local, this is your Thursday-night spot. Pro tip: the bakery is cash only. Pizzas and cannolis, cannolis and pizza: These are the takeaway foods that define the North End. Galleria Umberto is the marquee pizza name, but Parziale’s squeaks into the winner’s circle. (*Hides under a pile of coats to avoid reader backlash. *) It introduces biscotti foragers to another delight: the bakery pizza. Thick-doughed and sauce-heavy, it’s baked in a sheet and cut into squares, but unlike its Sicilian counterpart, it’s allowed to cool before being served at room temperature. (In fact, a cheese topping is far from de rigeur, though Parziale’s serves its slices with plenty of melted Romano.) As it happens, the bakery, which opened in 1907, claims to have introduced Bostonians to pizza; we can’t verify that bold claim, but we can certainly vouch for its pizza’s eye-opening appeals. You haven’t truly dined in the North End until you’ve tapped your toes in a long al fresco line. Come to the neighborhood on a Friday or Saturday night, and, snow or shine, predictable queues snake along the narrow sidewalks. The line outside The Daily Catch is often the longest in the neighborhood, owing to both its irresistible cuisine and its diminutive size (just 20 seats). 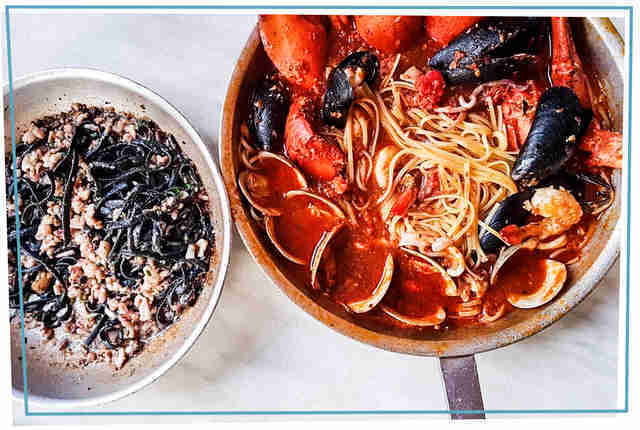 But do brave that wait: The chalkboard menu is a study in Sicilian seafood delights, from lobster fra diavolo to squid ink fettuccine served with Alfredo or puttanesca sauce. All the while, you’re watching the food prepared basically on top of you as you sip wine from plastic cups; the space didn’t even have its own bathroom until a few years ago. Yet its popularity has been on a steady upward trajectory since its opening in 1973, and with the restaurant’s outpost in the Seaport recently shuttered, the original’s wait time will only rise. Repeat: brave the wait. Oh, and bring cash, because this one’s cash only too. 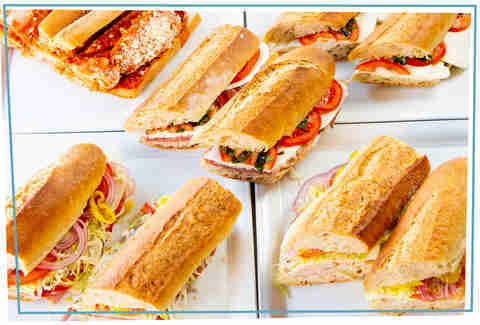 You see the signs everywhere: “Boston’s Best Italian Sub!” But the actual best Italian sub (don’t call it a hoagie; never a hoagie) can be found down a narrow alley between two restaurants inside a grocery shop mostly celebrated for its homemade pastas (which are awesome too). Frank DePasquale is the North End’s most celebrated restaurant owner, but here he’s feeding his nostalgia for Sunday grocery shopping in his small hometown near the Amalfi coast. All products are imported, which explains why this Italian sub is so damn good: imported mortadella, imported Genoa salami, imported sopressata, imported provolone. Oh, and the bread: baked next door in the even more clandestine Bricco Panetteria. Need a further vote of confidence? Our 2-year-old niece loved the sub so much that she brought it into the bathtub with her. It’s the cheapest way to Rome, no air travel required. Caffe Vittoria is a time capsule housed beneath a gold ceiling, a charming and unlikely anachronism in an ever-modernizing city. Where else can you enjoy a properly pulled espresso in a several-roomed space dotted with ancient coffee makers and a jukebox? What brings it home is that it’s a European cafe in the true sense: Vittoria also offers a full drink menu, from beer and wine to ‘90s cocktail favorites like espresso martinis. And, like so many other North End charmers, Caffe Vittoria is cash only, so hit up a Salem Street ATM beforehand (those appletinis really add up). 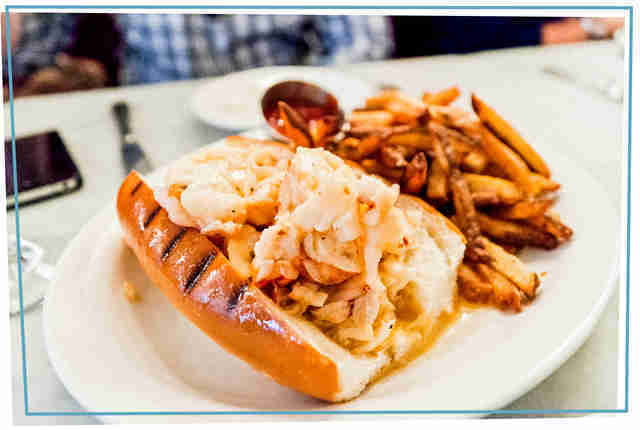 The city’s lobster roll scene changed forever the day Neptune opened its doors, its warm butter entry becoming the instant obsession of food writers and lobster roll aficionados. Then-chef Michael Serpa wasn’t reinventing the wheel so much as perfecting it: taking a perfect mix of tail, claw, and knuckle, quickly sauteeing it in salted butter (no rubbery overdone-ness here), then stuffing the ample pile inside a perfectly toasted brioche bun. Add in a pile of freshly cut French fries, and the long waiting times for an incongruously located oyster bar made perfect sense. It might take a few visits, but regulars know that roll should serve as the capstone to a larger spread that includes the made-to-order clam chowder, the fried Ipswich clams, and the daily rotating oyster selections. And Neptune makes sure to embrace the culinary traditions of its environs, with cioppino and weekly specials like sea urchin bucatini. Amidst all the hidden gems is a polished diamond: a glamorous, chandeliered, celebrity magnet of a restaurant that upended North End’s dining scene with its splashy 2003 unveiling. 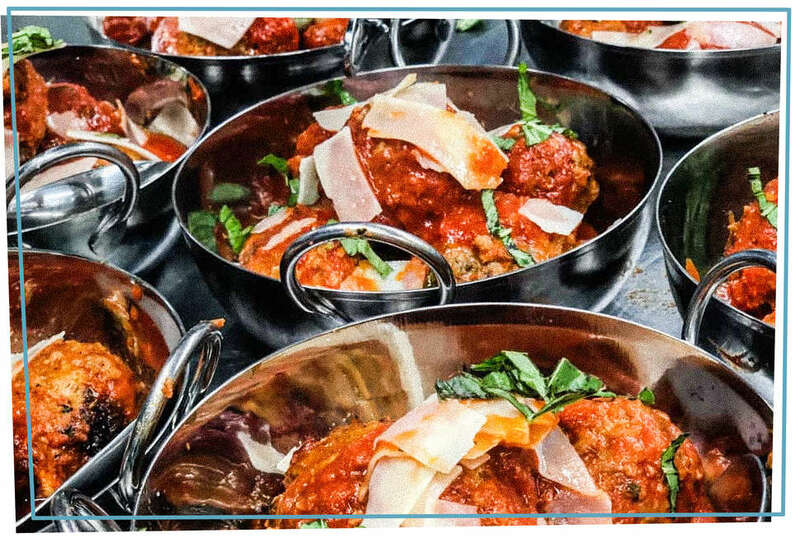 Restaurateur Nick Varano debuted an epic wine cellar paired with a classic trattoria menu (jumbo shrimp fettuccine, veal marsala), and suddenly on-sight celebrities were having their drivers drop them off on Hanover Street for a night of revelry. 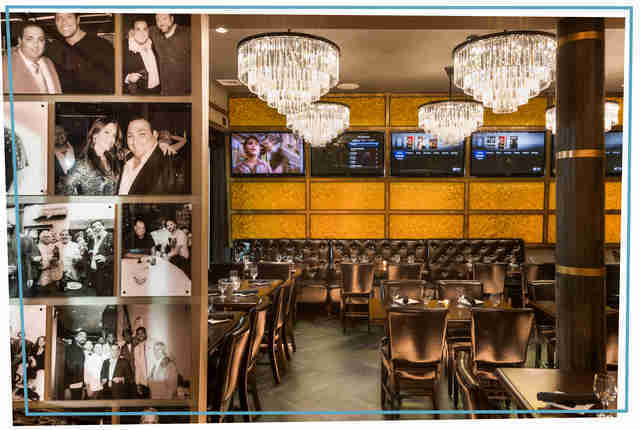 We’re not above dropping names: Robert DeNiro, Justin Timberlake, Paris Hilton, and even Tony Soprano (RIP, Gandolfini) have all dined here, and there’s photographic proof on the restaurant’s walls. Varano has run with his success and since created a mini empire, with another Strega outpost in the far sleeker Seaport area, and a chic steakhouse in staid Back Bay. But the original still stands as the standard-bearer of glittery North End dining. What’s new is old. This restaurant from award-winning sports reporter turned caterer turned restaurateur Jen Royle may have just opened in January, but it encapsulates all of the North End’s Old World values. 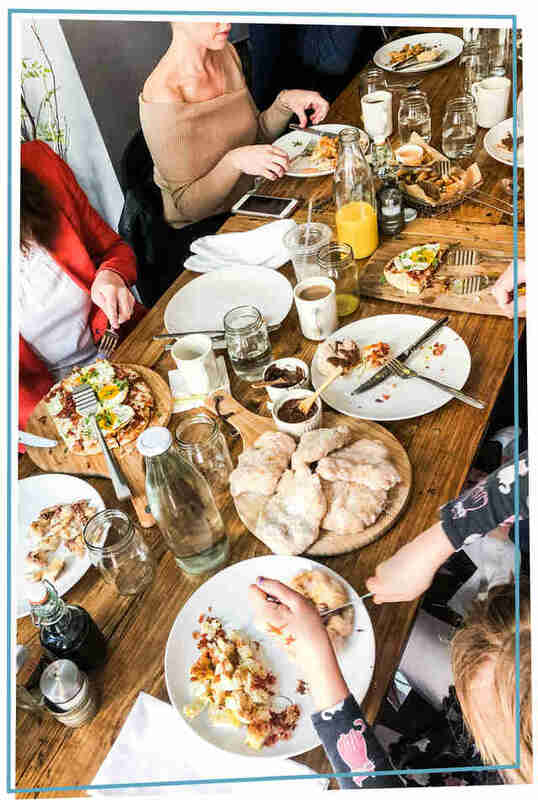 For starters, no misanthropes allowed: dining is strictly family-style, with dishes placed down on one of two communal tables, one 14 seats and the other 22. Two nightly seatings invite strangers to break bread over a nine-course menu of impeccable Italian classics: duck confit ravioli, charred octopus, shrimp scampi, panzetti, ricotta zeppole. “I really wanted to bring something new to the neighborhood, and growing up in an Italian family, we always ate family-style,” says Royle. Her faith in Bostonians’ humanity was warranted. The restaurant has been an immediate hit. Turns out, Bostonians aren’t are all unrepentant curmudgeons after all. Meaghan Agnew is a contributor to Thrillist.